The much awaited results of Visvesvaraya Technological University (VTU) which conducted the MBA 4th-semester exam in the month of June 2016 this year . A large number of candidates who are pursuing the MBA 4th Semester appeared for the examination. Vtu Results for all the candidates who had written the exam are waiting for the VTU MBA 4th Sem Results and its declared on 29th 2016. today @ 9 pm the wait is over and results will be declared VTU is going to declare MBA 4th-semester results today on 29th July 2016. Candidates can check the results from the direct link provided below. Earlier, the university declared MBA 1st & 3rd Sem results. Yet, the university has not announced the declaration date of the MBA 8th Sem results. (VTU) will announce the results of it’s MBA 4th semester exams tonight around 9 pm. The official notification is displayed at www.vtu.ac.in regarding the same. It must be noted that MBA 1st and 3rd semester results were announced on 26 July. While the University is announcing results for several courses this week including VTU results 2016 for UG courses, the University’s exam section has not provided any solid reports on when the VTU 8th sem results 2016 will be announced. Though the preliminary reports are suggesting that VTU results for 2nd, 4th, 6th sem exams for various under graduate courses are set to be out this week. Although it’s normal for Universities to delay results every now and then, but the real problem is being faced by 8th semester students. The aspirants who have already got their call letters to join the companies are saying that the recruiters are not allowing them to start the training due to unavailability of final semester marks sheets. 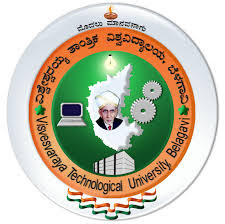 Visvesvaraya Technological University (VTU) is a collegiate public state university in Karnataka State, India. It was established on 1 April 1998 by the Government of Karnataka. The university encompasses technical and management fields which offers a total of 30 undergraduate and 71 postgraduate courses. It conducts semester examinations every year for all the courses. Similarly, this year it has conducted the MBA 4th Sem exams and the candidates who had appeared for the exams can check the results from the official website. MBA Results Announced for IV Semester for the Examination June / July 2016. MBA Results Announced for I - III Semester for the Examination June / July 2016. MCA Results Announced for I - V Semester for the Examination June / July 2016. Click on MBA 4th Sem Results.